For many vertebrates, the capacity to assess a rival’s competitive qualities, particularly its size, by means of honest cues prior to a physical encounter brings decided fitness advantages1. In mammals and birds, the most widespread mechanism for producing honest acoustic cues to body size is via formant frequencies2,3 (vocal tract resonances). Bellows of crocodilians have long been thought to advertise a caller’s size4, especially because relative size differences reliably predict the outcome of potentially lethal agonistic interactions5. Interestingly, to date, no empirical study has investigated whether bellows contain honest cues, further, the presence of formants has not been demonstrated in any non-avian reptile. We tested for the existence of formants in crocodilians by inducing a Chinese alligator (Alligator sinensis) to bellow in an airtight chamber, using playbacks. During vocalisations the animal was inhaling either normal air or heliox (helium/oxygen mixture). In heliox the speed of sound is increased causing an alteration of formant distribution in the sound spectrum. An acoustic analysis showed a consistent shift of high-energy frequency bands in the spectrograms of vocalizations produced in heliox6. This strongly indicates the presence of formants. We subsequently recorded and analysed the bellows of 43 American alligators (Alligator mississippiensis) and found a strong negative correlation between formant frequencies and body size, measured in total and head length7. Moreover, we found that the formant distribution differed between vocalisations produced on land and in water, but that in either case formants in bellows served as honest cues. As extant crocodilians share an almost interchangeable call repertoire8, we propose that the bellows of all species contain reliable assessment cues to a potential rival’s body size. Petrie, M. Intraspecific variation in structures that display competitive ability - Large animals invest relatively more. Anim Behav 36, 1174-1179, doi:10.1016/s0003-3472(88)80076-9 (1988). Fitch, W. T. & Kelley, J. P. Perception of vocal tract resonances by whooping cranes Grus americana. Ethology 106, 559-574 (2000). Reby, D. et al. Red deer stags use formants as assessment cues during intrasexual agonistic interactions. P Roy Soc B-Biol Sci 272, 941-947 (2005). Garrick, L. D. & Lang, J. W. Social signals and behavior of adult alligators and crocodiles. Am Zool 17, 225-239 (1977). 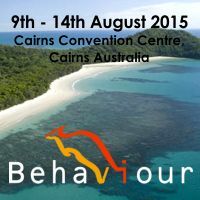 Brazaitis, P. & Watanabe, M. E. Crocodilian behaviour: a window to dinosaur behaviour? Hist. Biol. 23, 73-90 (2011). Reber, S. A., Nishimura, T., Janisch, J., Robertson, M. & Fitch, W. T. A Chinese alligator in heliox: Formant frequencies in a crocodilian. J Exp Biol. (in press). Reber, S. A., Janisch, J., Torregrosa, K., Darlington, J. & Fitch, W. T. Formants in bellows as honest cues to body size in alligators. (in prep). Vergne, A. L., Pritz, M. B. & Mathevon, N. Acoustic communication in crocodilians: from behaviour to brain. Biol Rev 84, 391-411 (2009).